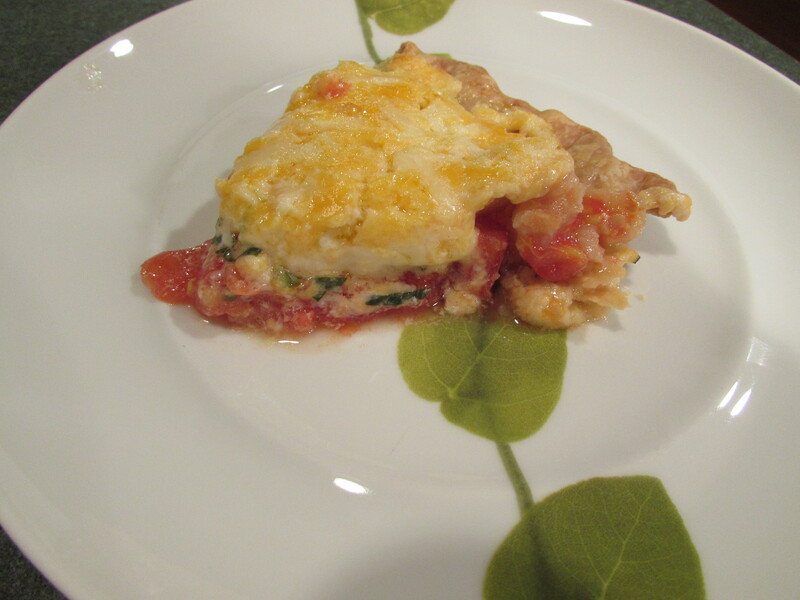 Tomatoes (your garden or farmer’s market) will shortly be just a fleeting memory so make this recipe soon! 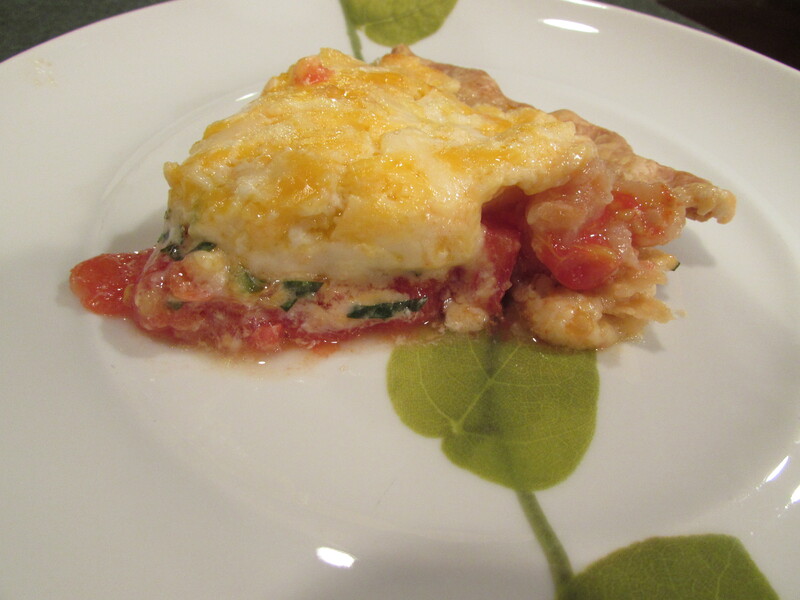 We just had the leftovers of this pie tonight and it was even better! 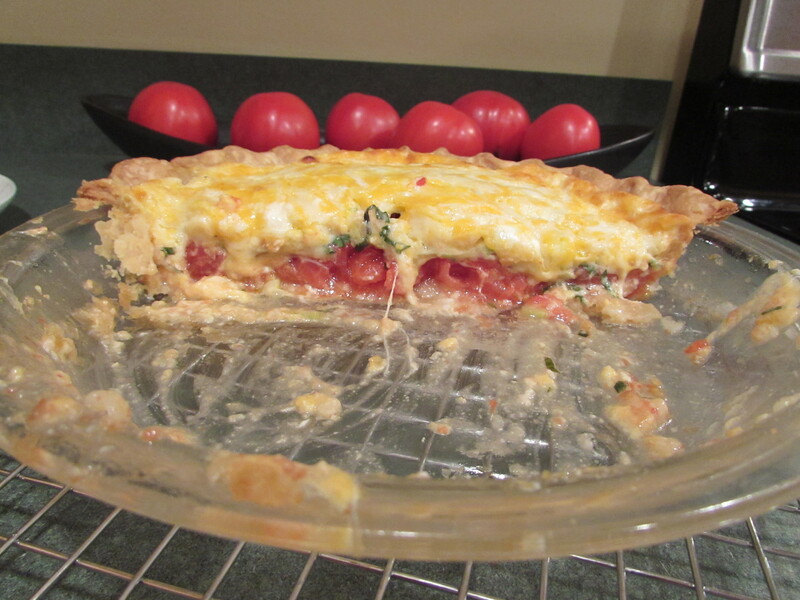 I even dare to recommend making this pie the day before serving and rewarming it in a 400 degree oven for half an hour. Cover with aluminum foil for the first 15 minutes. It was delicious! Preheat oven to 450 degrees. 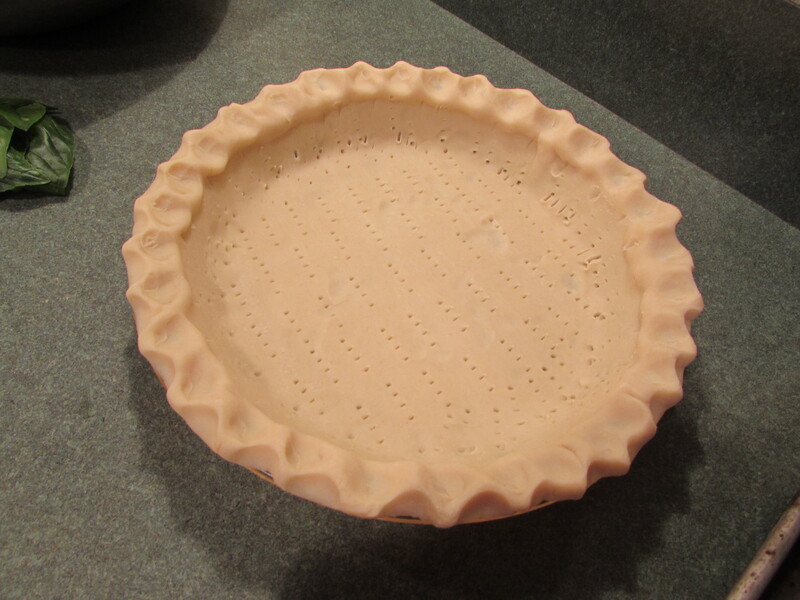 Take pie crust out of refrigerator. Put a large pot of water onto boil. Prepare a very large bowl of ice water. 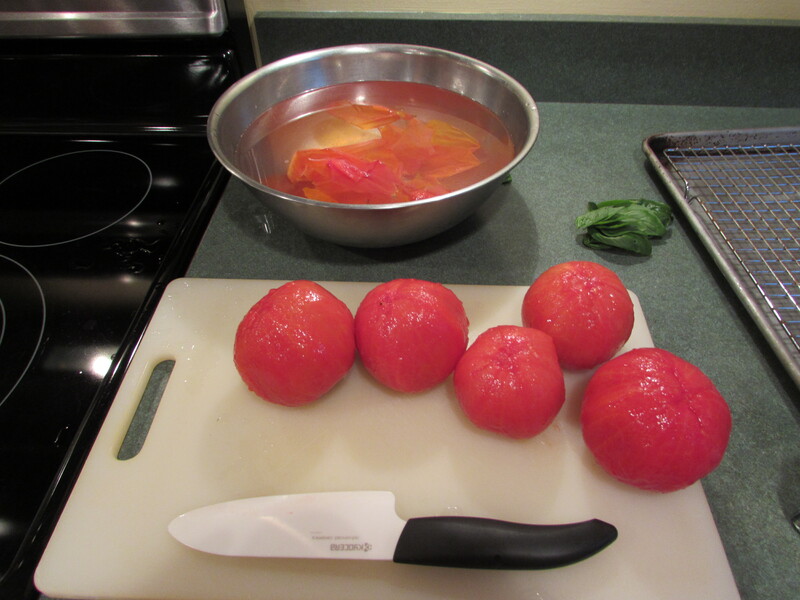 Cut a cross onto the bottom of each tomato using a sharp knife. 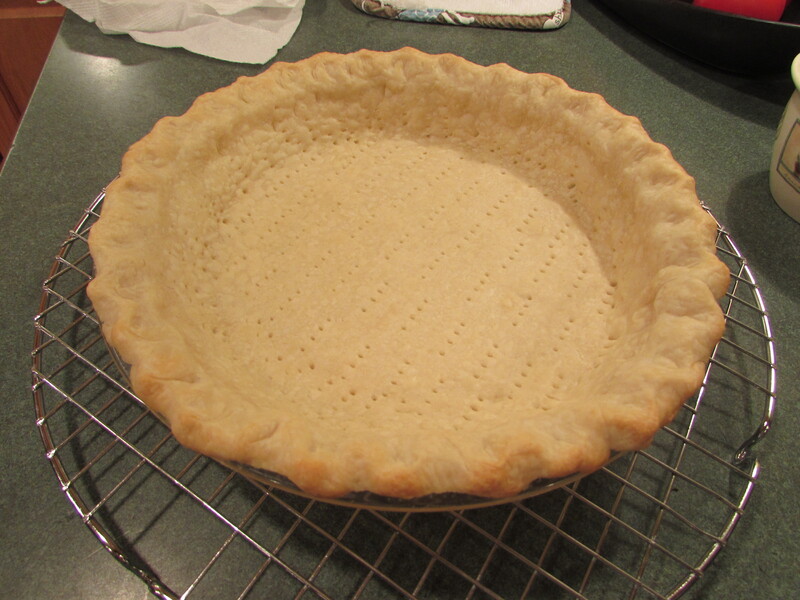 Place a cookie cooling rack over a large rimmed cookie sheet or have a large colander set aside. 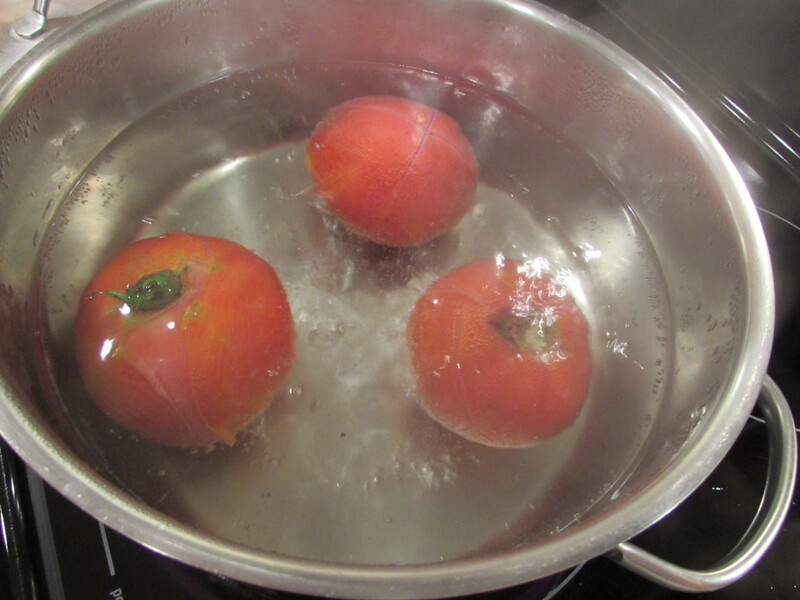 When the water comes to a boil, gently place the tomatoes into the water. After about 30 seconds the skin will start peeling off the tomato. 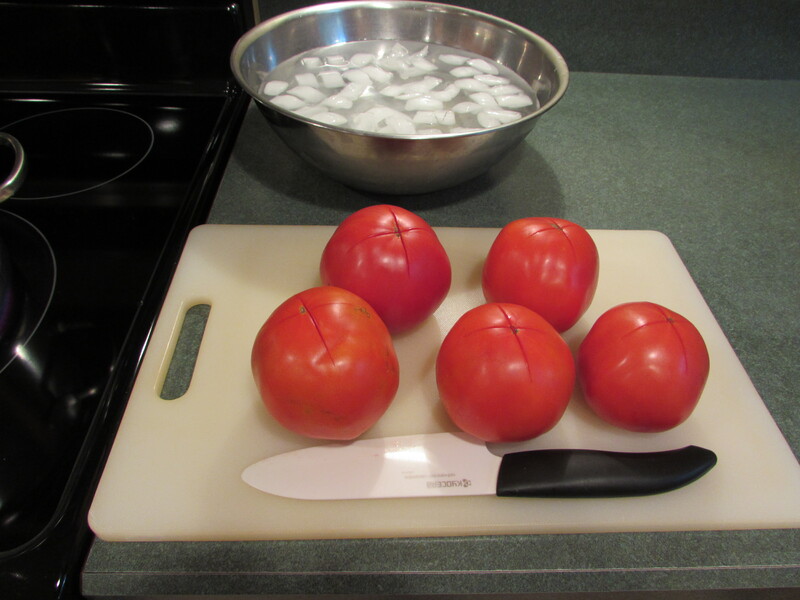 When this happens, with a slotted spoon, remove the tomatoes into the ice water. 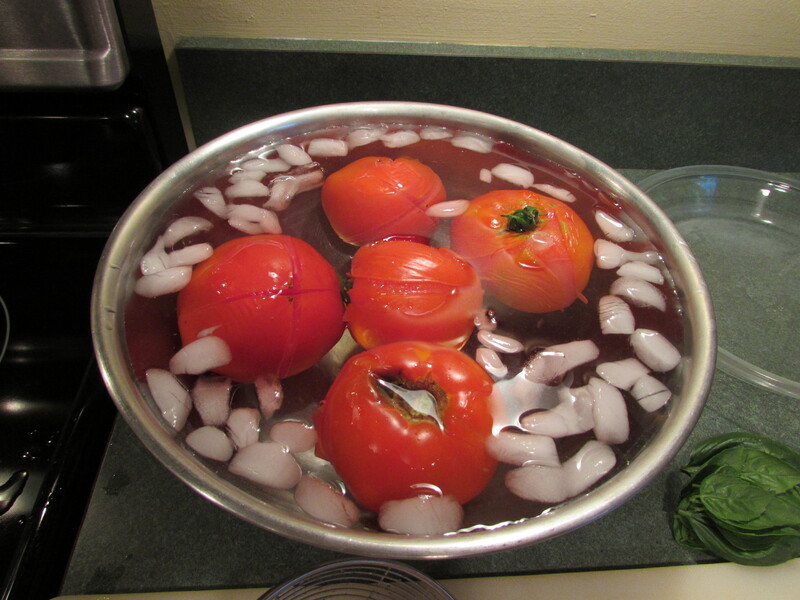 After about one minute, remove the tomatoes from the ice water. The skin should slip right off. Discard skin. 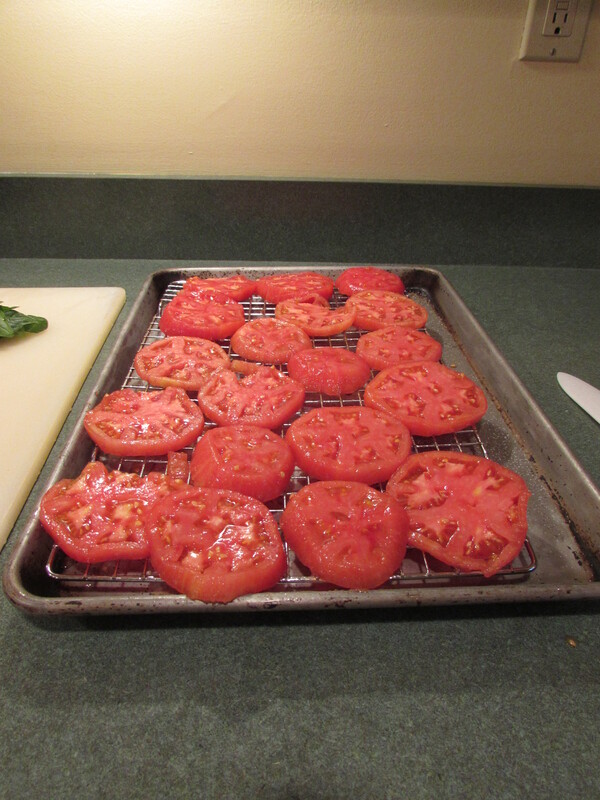 Cut each tomato into a 1/4 inch slice (you should get about 4 slices per tomato) and place onto cookie cooling rack or colander. 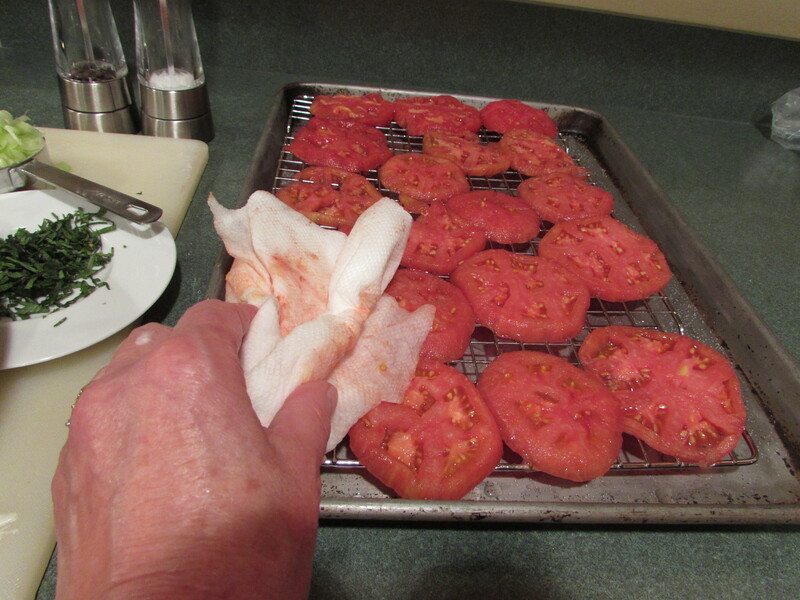 Sprinkle tomatoes with salt (not too heavy), turn over and sprinkle the tomatoes on the other side. Let sit for about 30 minutes, allowing to drain. 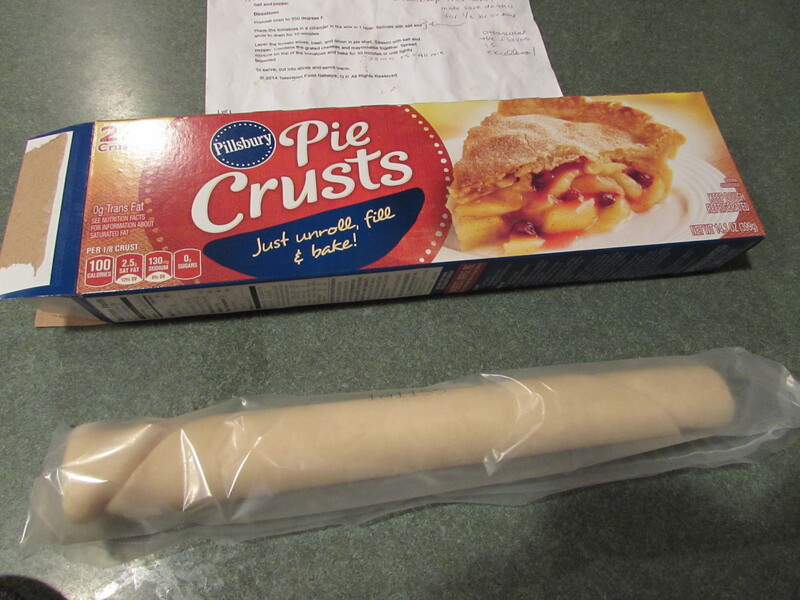 While you are waiting for the tomatoes, pre-bake your pie crust, following the directions on the package. 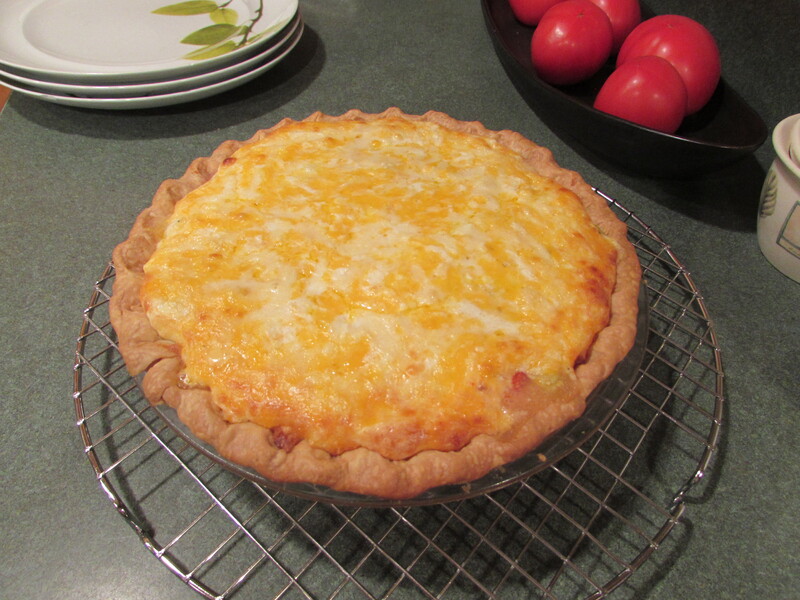 Then reduce oven temperature to 350 degrees. **Chop up your basil by stacking leaves and rolling them into a tight tube. Slice the leaves width-wise into very narrow pieces, creating long thin strips. Chop the strips again to make a fine dice and set aside. Combine the cheeses and mayonnaise. 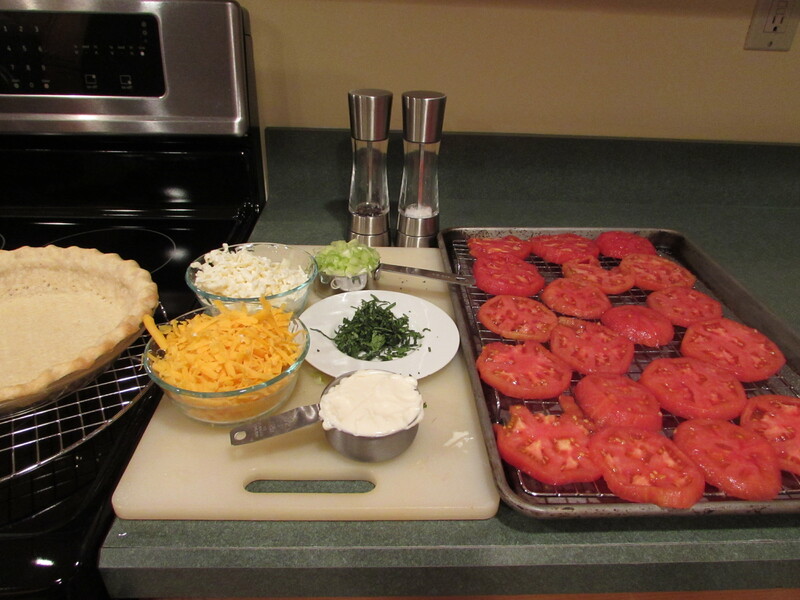 Assemble pie: pat the tomatoes carefully with paper towels while still on the cookie cooling rack. Then take each slice, place it on a paper towel, and fold the paper towel over the tomato, absorbing more juice from the tomato. 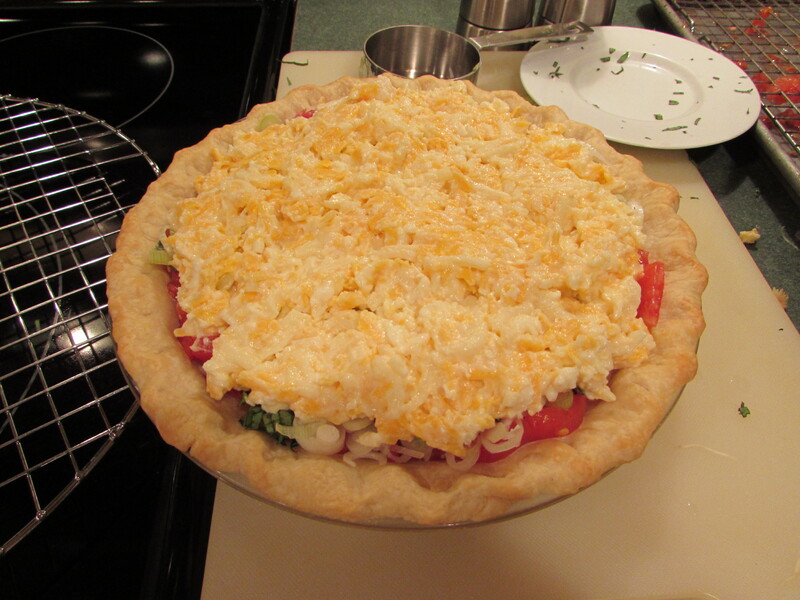 Layer the tomato slices into the pie shell. Sprinkle with the onions and basil. 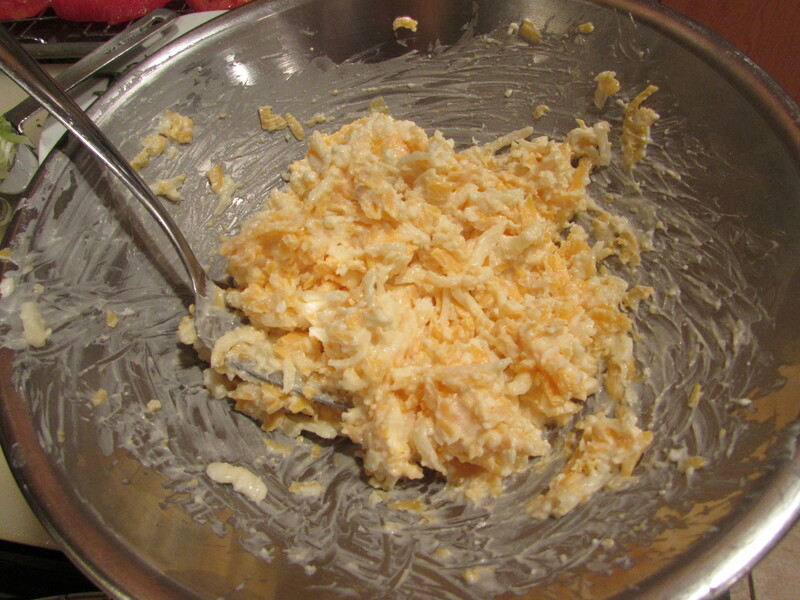 Spread the cheese/mayonnaise mixture on top (I used my fingers, clean fingers!) 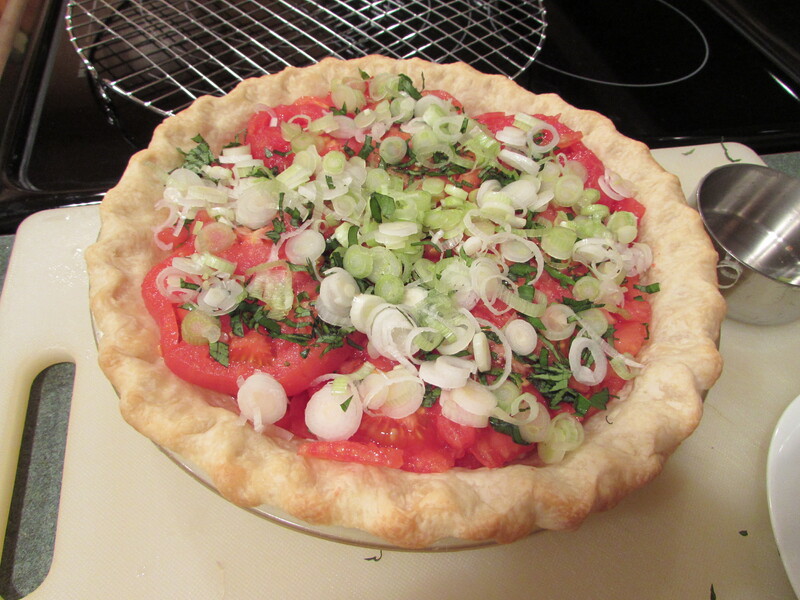 of the tomatoes. Let sit for 15 -20 minutes and serve.